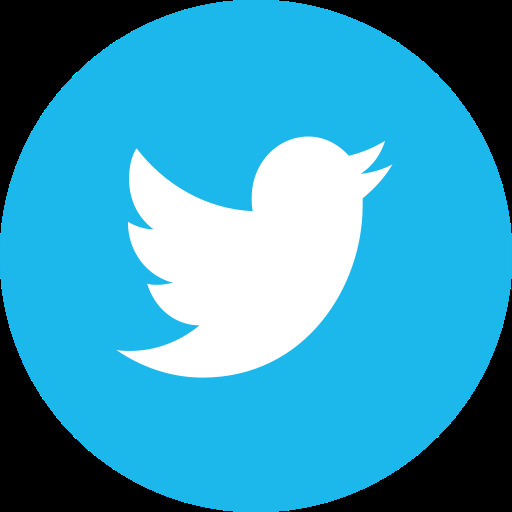 ProjectDox is an open system that makes exchanging information with other applications easy and accurate. 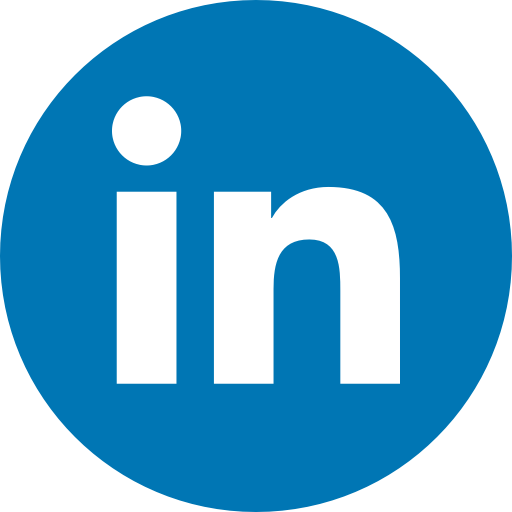 ‘Information silos, ‘islands of automation, ‘data stovepipes’ – there is no shortage of terms coined to describe applications that cannot exchange content with other systems. 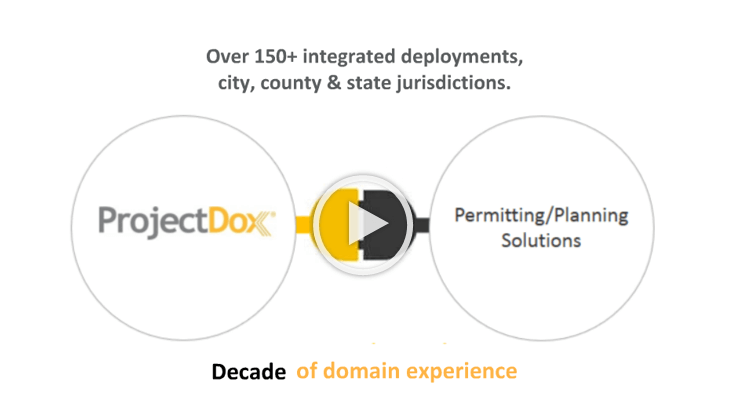 ProjectDox is an open application using standard interface technologies, connecting to other business systems in virtually every place it’s used, and to applications of all types — permitting, land management, asset management and archival systems. 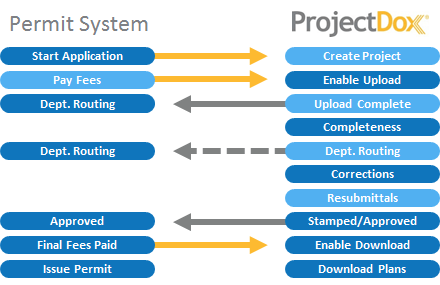 Example of the process workflow interface connection points in a building permit process using ProjectDox to provide the ePlan Review/Approval process and documentation submission/access. ProjectDox supports over 200 defined Web Services that communicate with back-office business systems of just about any type. Your ProjectDox system makes building project information available to those who need it: from Planning to Building, Asset Management to Public Safety – throughout the entire building life cycle.